Are you getting discouraged about your marketing strategy? Maybe the problem is not your marketing strategy. Maybe it is in your remarketing strategy. Remarketing is the technique of marketing again to your customers. However, it is important to note that it does not involve remarketing to the same people every time. Sometimes it means that you back up and analyze your data and reconsider how and to whom you are marketing. Segmentation of your market is sometimes a necessary step to take when you need to fine-tune your marketing strategies. 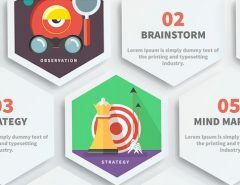 To make the most of your investment with your ad strategies, it helps to analyze what you are doing and how it could be changed to target a more specific audience. The problem that many people have with remarketing is that they go about it in the wrong way. They either do it too much, not enough, too forcefully, or just generally tacky in their approach. Remember that remarketing and retargeting is all about learning from past mistakes and not making the same ones again. 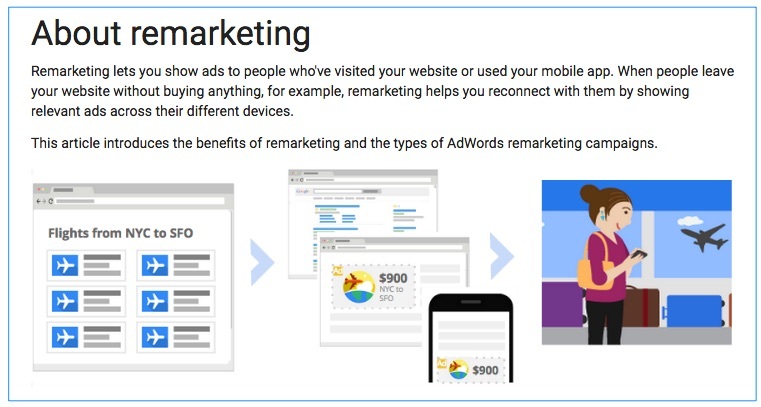 Google AdWords has some interesting points about the remarketing process. Some of their key points are listed below. 1. Having access to the people who are most likely to buy– One of the main reasons you should focus on a remarketing campaign is the fact that you’ll be able to cut through the factors that have not been successful. Then you can look at the ones that will produce the success you are after. 2. Focusing on specific advertising goals– There is a saying that entrepreneurs often say, “Do everything that leads you to your goal but nothing that does not.” In other words, you need to plan your ad strategies based on actions that will lead to the achievement of your business goals. 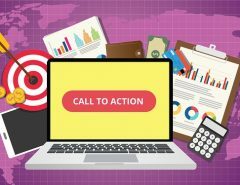 By focusing on the specific goals that you have for your ad strategies, you will likely make better decisions in your remarketing activities that will lead you closer to your goals. 3. Using automated bid strategies– You can employ the use of automated bid strategies such as setting it to get you the most clicks possible within your budget. Target CPA, another traditional automated bid strategy, will allow you to get as many conversions for your ads as possible within the specified budget you designate for a given ad campaign. 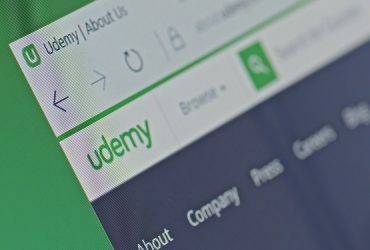 Any of these techniques can add to your results when retargeting your ad strategies and ad campaigns. Much of these actions you can do through Google Adwords as well as other forms of PPC advertising like Facebook and Twitter. 4. Find customers who are searching for you– Using specific tools that help you locate your clients who are looking for you and your products or services will help you to leverage the power of retargeting and remarketing. Remember that using remarketing techniques does not mean that your initial ad strategy was unsuccessful, wrong, or ineffective. It just means that, because it did not yield you the results you wanted, you need to take a step back, reanalyze, and segment your population into the “maybes” and the “probablys.” In other words, try to locate the people who are most likely to buy from you. Don’t waste time with those who have no interest, even if your original data might have led you to the conclusion that they were viable prospects. 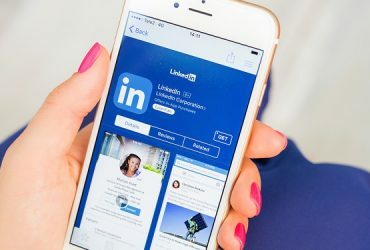 Part of this process of weeding out unlikely candidates is to go through your email contact list, Facebook and other social media accounts, and newsletter sign-up list and delete the members that you have never received a response from. Just using logic and common sense, you can figure out that, if someone has never responded to anything you sent them or offered them, the chances are likely that they are just not interested. If they respond occasionally, they may have enough interest that they may not be a customer yet, but they may be later on. Weeding out the people who have not shown enough interest in your brand can help improve your mailing list and ad campaign strategies immensely and save you time and money in the long run. 5. Use video to remarket for increased results– If your main goal is to increase your level of credibility, try retargeting and remarketing by using media such as video. Add a personal message as the CEO to your target audience. Let people know who you are. Take the opportunity to let them know that you care about what interests them and that you want to hear from them. This simple but important technique and talking to your viewers “face-to-face,” has been highly successful for many business owners who utilize the power of video to reach their most important prospects. One of the ways that you can improve your credibility as you are marketing your brand is to connect with social influencers. Social influencers are anyone who has had an impact on your industry in a way that would complement what you do with your brand. You need to make sure that the individual that you get to help you with your remarketing is enthusiastic about your brand. Don’t expect them to be as excited as you are about it. But they should understand that you want to engage in a mutual exchange of favors, where you allow them to appear on your site, a podcast, video, or another digital asset in exchange for a plug for your brand. Keep in mind that, the more famous the person is, the more expensive it may be to get them to do this. This is not greed on their part in most cases. Rather, it is just a fact that, when someone is well-known their time is not their own as it was when they could do whatever they wanted without the demands on their time. You might have to pay a well-known social influencer $300 or more to get them to endorse you, but it might be one of the best investments you make. Just vet your applicants and the people you connect to. Make sure it’s someone with whose values your values align as much as possible and someone that you would want to speak for your brand. If you want to improve your credibility, bring in more customers, and increase your web presence, use remarketing. Utilize the tools you have available to recreate hype for your ad or rework it completely to reach those you missed the first time around. Learn to look for any factor that will influence the results and change something up each time, then measure your results regularly. It is only by consistent and accurate measurement of your marketing strategies that you will be able to tap into the secret bullet of success. 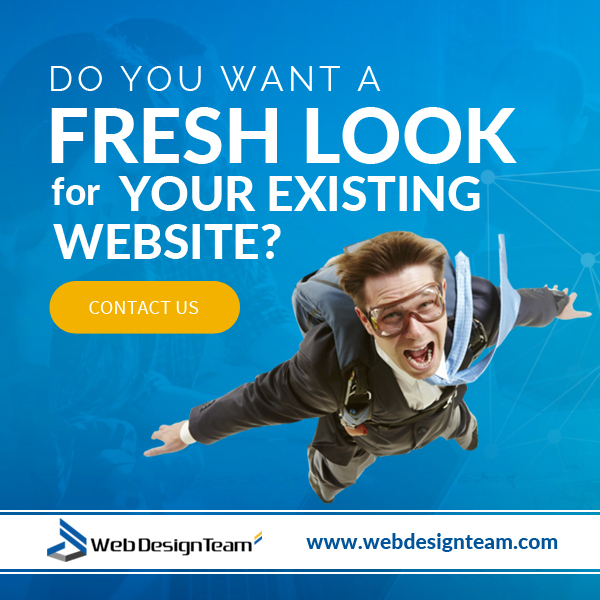 Start with a great website that is designed by a professional web design team. That’s us. 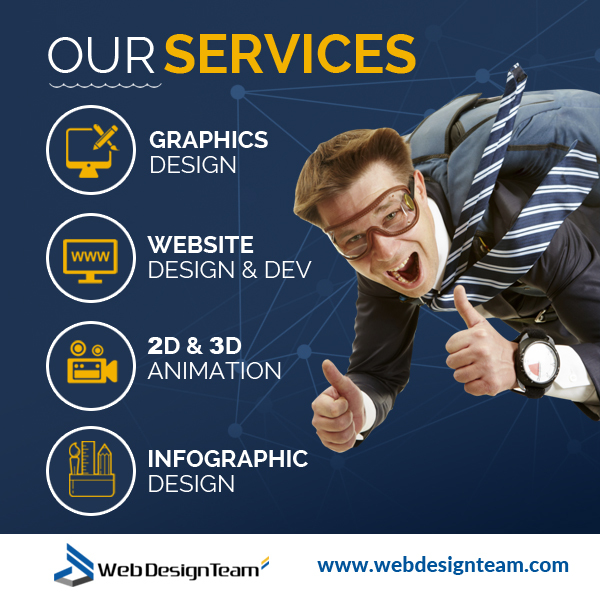 We create awesome infographics for a wide variety of purposes and advertising strategies. Visit us today to learn more. 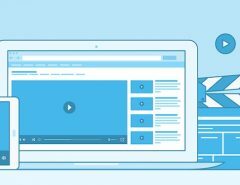 Cross-Marketing Online Video and Web Content – What Works Best?